London’s Heathrow airport handled a record 80.1 million passengers in 2018. Yet at this very moment, none of them are here. 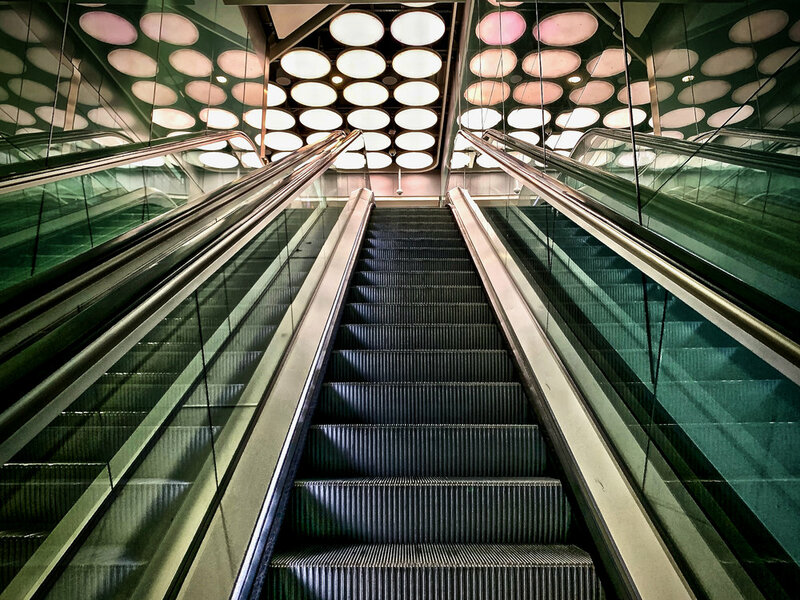 The escalator moves slowly, only waking up and speeding up when you - its first human encounter of the day - approach. Same for those round lights at its top. Glowing at ten percent, saving their powers and waiting to give it their all no sooner than from the moment you show up at 05:15:58. They’ll be at it until the last passenger of this Wednesday in March flies by, over eighteen hours from now. Or maybe a janitor is their last human touch of this day. This is Terminal 3 before sunrise. If you’ve just come off the first arriving flight of the day -the one from Hong Kong- and have never been here before, this is your first impression of Europe. For now at least. For sure your first impression of the United Kingdom. Empty space, crawling escalators, simmering lights. The way up drops you in an equally empty corridor of at least 500 meters long. Here, you stare into that same state of slumbering by the machines. The security camera up top probably stays awake even when no one’s here. Do the people watching its feed, though? Is it even still people watching? Heathrow on this Wednesday in March at 05:15:58 is a perfect backdrop for the best airport song ever written, by R.E.M.